Honest representation is the goal of the Lawrence Law Firm. We pride ourselves on listening to the facts of your case and providing a tailored approach to your case. At the firm, we treat you like a client and person as opposed to a business deal. The Lawrence Law Firm strives to focus on the goals of each client individually and provide representation tailored to each client's goal. Mr. Lawrence focuses on Criminal Defense and Personal Injury. We handle these case because they permit us to work with real people with real problems. Mr. Lawrence enjoys defending his client's rights in criminal proceedings or seeking compensation for unjustified injuries. 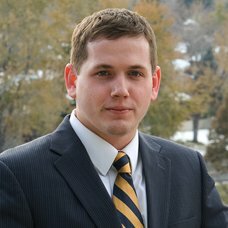 If you or a loved one need an attorney in Arapahoe or Douglas Counties do not hesitate to contact Mr. Lawrence. Mr. Lawrence has been practicing law since 2010, He started his career handling a majority of personal injury cases. Handling these types of cases created in him a need and desire to help clients when they needed it the most. This quickly transitioned to criminal defense. Like personal injury, criminal defense involves litigation against a well oiled machine intent on taking as much as possible. The Lawrence Law Firm recognizes that each case is different. Each client is different as well. At the Lawrence Law Firm, we pride ourselves on providing tailored defense and counsel to achieve the best result possible. 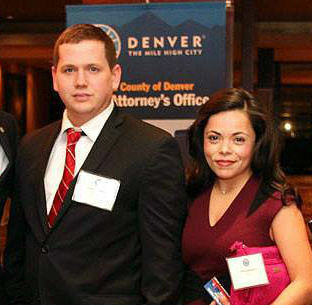 The Lawrence Law Firm prides itself on providing excellent representation to each client. DUI/DWAI, Criminal Defense, and other matters handled for flat fee. Payment plans are available. The Lawrence Law Firm provides representation to individuals charged with DUI's or DWAI's in Arapahoe or Douglas County, Colorado. A DUI or DWAI charge in the State of Colorado can have a serious impact on an individual's life. Not only are you arrested and facing possible penalties, but your license will more than likely be revoked. In essence, life is going to get pretty difficult. However, The Lawrence Law Firm can provide the guidance needed to get you through this troubling times. Mr. Lawrence has handled several alcohol related offenses, and he knows the system inside and out. He also realizes that each client and case is different. As such, the first objective is identifying the client's goals and determining the best way to accomplish those goals. The firm decided on its primary areas of practice because it sees the criminal justice system as the machine it is. A lot of cases and defendants are viewed in the wrong light by simply being in the system. Client's are routinely ignored, not believed, or listened to prior to coming to us for help. Seeing the system for what it is, we decided that helping the accused is the best way to ensure justice. The Lawrence Law Firm's motto is "A Client Focused Firm". As such, the primary focus is on providing quality legal services to its clients. The corner stone to this service is honest counsel and representation. Mr. Lawrence will provide a case consultation with every client and explain the good, bad, and ugly of each case. In addition, he will provide as many options for how to proceed with the case. The Lawrence Law Firm also prides itself on having client referrals. This shows that past clients trust the firm and know their friends or relatives would be best served by retaining Mr. Lawrence. Mr. Lawrence is routinely told by clients that he is easy to approach, treats individuals with respect, and cares about his clients.